I don’t always agree with Andrew Stoeten’s profanity- and invective-laced rants about the Blue Jays’ management but I’m starting to see where he’s coming from: He is the self-appointed defender of Toronto Blue Jays fans. While other commentators, like Mike Wilner, get much less worked up over the Blue Jays’ lack of imperative this offseason than Stoeten does, Stoeten is really the only one who is keeping the common man’s interests at heart. I know that I don’t represent the average Blue Jays fan. You can tell by how much I write about the minor leagues, a subject that few normal fans care too much about, that I’m not average nor do I write from that point of view. While some fans find Mike Wilner to be condescending, I think he tries to write and speak from the point of view of an insider with a somewhat neutral overview of the Blue Jays’ entire organization. Often, fans don’t want to hear a neutral and realistic take on the Blue Jays. Fans want to see a winner on the field and they want to see the club pursuing that winner off the field. This is where Andrew Stoeten has found his niche. Even from the early days of Drunk Jays Fans (now a somewhat sanitized “DJF”), Andrew Stoeten has been writing from the average fan’s perspective and this is what makes him one of the most important voices in the Blue Jays’ blogosphere. I’ll admit that when I read his latest post, “Ubaldo Goes to Baltimore,” I asked myself, “so what”? Stoeten has always disapproved of the Blue Jays’ failures to sign free agents this winter and has been heavily critical of the “stand pat” approach. I don’t necessarily agree with his opinion on the matter (I think that the Blue Jays need to address second base more) but I have been puzzled by how angry Stoeten’s blogs appear to be (at least from my perspective). Perhaps it’s the use of profanity that makes me feel his anger seething through the words on my computer screen but today, I realized that it’s not necessarily his own anger that he’s channeling but the rage and impatience of all Blue Jays fans who have been waiting all offseason for the front office to do something. Stoeten’s is the voice of the fan who knows that the Blue Jays have money to spend, regardless of what they’re telling us, and wants to see that money spent to improve the product on the field. Stoeten’s is the voice of the fan who is tired of hearing the club say one thing and then do another. Stoeten’s is the voice of the fans who will still watch the games because they love the Blue Jays and want more than anything to see the club return to the glory that we’ve known before. But there’s one difference between most fans and Andrew Stoeten: Stoeten is making sure that the Blue Jays haven’t forgotten about accountability. This is the major reason why his rants are so angry. 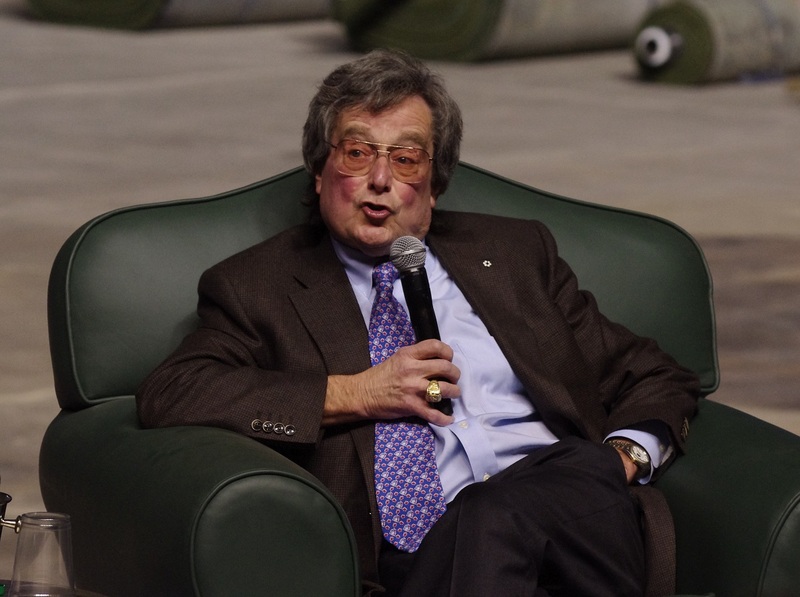 Most writers and media outlets are letting Paul Beeston off the hook for his “three playoffs in five years” promise that came a couple of years ago. Andrew Stoeten isn’t. He wants the club that made those promises to the fans to make good on them. In today’s day and age, accountability is dead. Politicians make promises and never think about fulfilling them. Politicians lie about their own track records over and over again in the hopes that people will just give up and believe what they’re being told rather than what is actually true. There are few places left in the world where people are being held accountable for their actions anymore and Andrew Stoeten is trying to make sure that we don’t forget that the Blue Jays have made promises that they haven’t kept. While I don’t always agree with him, I’ll raise a glass to him today: To Andrew Stoeten, Defender of Accountability.